Well, another year has passed…already… and I’m going to go on record and just say it straight out: 2017 was probably the best year ever for video games. Okay, so 1995 and a couple of other years put up a strong argument, but 2017 just never let up. One great game after another seemed to be rushing out the gate for the entire calendar year. As such, this is quite the hefty year to decide on what games were the best at what. But opinionated crap like that is what I do! Who’s gonna stop me? Let’s start my 2018 award season with the category of Best Sound, because sound effects are crucial to video games, but don’t always get the credit they deserve. This is the first year since I’ve launched Wizard Dojo that a game by From Software hasn’t snagged my Best Sound award. Part of that is because From Software didn’t release anything this year, but that doesn’t take away from the other part of this equation: Breath of the Wild had some stellar sound design. It perhaps shouldn’t be much of a surprise that, as far as sound is concerned, Breath of the Wild takes a familiar approach to From Software’s Souls series in that the sounds build the game’s atmosphere and world as much as anything. Every weapon Link finds, every piece of armor he wears, and every item he uses sounds unique to the ears. Link’s steps will echo differently depending on the terrain he’s walking across. The weight of every monster and beast can be heard as they move. The sound effects of Breath of the Wild all play a part in making this version of Hyrule feel more alive than it ever has before. Sure, the art direction and environments help shape Hyrule, but it’s the sounds of every last locale that really bring it to life. Wizard Dojo’s annual video game awards have begun! The first award is for Best Sound! Another great choice here. 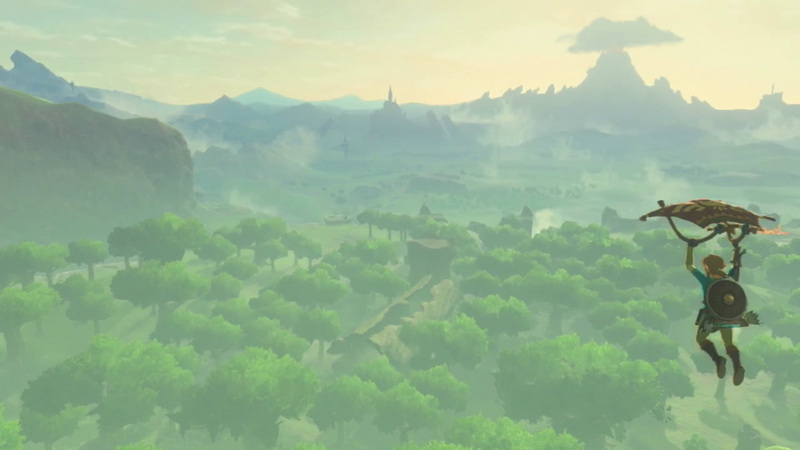 The sound of Breath of the Wild plays a huge role in making its world immersive and realistic.